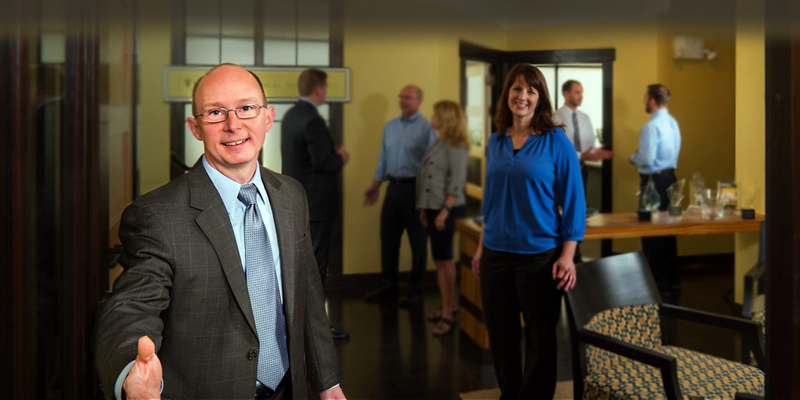 Put our team of fee only, fiduciary advisors to work on your financial success. A fiduciary is an advisor that works in your best interests. At Vintage, we work exclusively for you–not a bank, Wall Street, or an insurance company, so it’s easy to put your interests first. And we’re pretty good at what we do. We’ve been doing this since 1985 and our team has some of the best credentials in town. In fact, if you’re looking for Fee Only CFPs that are true fiduciaries, you can stop right now. We have the largest team in Washtenaw County working right here together for you. No other local firm comes close. If you’re like a lot of the prospective clients we’ve met, your financial affairs are a bit of a mess right now. You’ve got some investment accounts here, some there, and then there’s your 401(k) at work. And your spouse’s 401(k) from the old job. And there’s no cohesive plan to make them work together. And maybe you do your own taxes or even have a tax preparer, but they don’t really know what your tax picture looks like until February or March, after the tax year is over and there’s not much you can do about your tax bill then. Then there’s the financial planning. The insurance, estate plan, retirement plan, education funding, mortgage, etc. that are handled by you or various professionals, but don’t necessarily fit together or get the attention that they should. But relax. We’re here to help. It’s what we do. And the only thing we’ll sell you is the best advice our team can provide. If you’re going to work with an advisor, you’ll need to trust them. But trust isn’t something that happens overnight and we get that. It’s something we need to earn every day. So to help that process along we’re going to be very transparent about what our services cost. You’ll see it in dollar terms regularly and we’re happy to share with you and explain the underlying costs of the investments we’ll recommend. We’ll also show you how your portfolio is doing. Every day. Including your 401(k) plans (or 403(b), 457 or other retirement plans). In fact, our client portal gives you the dollar value along with the year-to-date net rate of return, updated daily. Very few firms have the technology to pull this off, and fewer still, will share that info with you. And, if you don’t want to check the website, that’s fine. We’ll meet with you every year to review your portfolio, how it performed relative to the benchmarks, and update your retirement plan (or spending outlook if you’re already retired), net worth statement, and other goals like funding your kid’s or grandkid’s education. There’s a wide variety of financial advisors available today. Use our free checklist to learn what questions to ask and why, so that you can find an advisor that is right for you. What can Vintage do for you? Proactive investment management of your overall portfolio, including 401(k) and other employer-sponsored retirement plans. Our Financial Sourcebook plan covers your retirement, investment, estate, education funding and other objectives, and is updated annually. Our tax experts can prepare your taxes–and provide proactive tax planning strategies all year long to help minimize your tax bill.